Many people assume that radio is in decline but the truth is audiences are actually growing. And even though it’s a medium often associated with the past, it continues to thrive in the Internet era — the question is how? The answer is, that radio has done that thing most vital to ensure its survival, it has evolved. Gone are the days of the traditional “wireless,” now there are a multitude of new mediums for listeners to tune in on. Most of which have been brought about through the dawn of digital. The ways in which we consume radio may have changed, but the reason we listen has remained mostly the same, the search for great music. The launch of digital stations has lead to the championing of new music, and the rise of personal technology and smart phones, along with the growth of on-demand listening mean it’s easier than ever before to find the new music you want, when you want. What’s important for DJs is that they find themselves in front of the right audiences. That’s why much of our business is dedicated to getting our artists onto the right channels. Radio has always looked for the best way to package its amazing content for listeners to enjoy in their own time, or in case they have missed it the first time around. Now, podcasts and digital strategies have allowed radio to do just that. This perhaps is the most obvious way that radio has tapped into the current zeitgeist of content on demand. We discuss this topic in greater detail here. With the production and delivery now so easily accessible, the focus now shifts to the exciting new possibilities of integration: Google Home and Amazon Echo smart speakers, car radios, and even artificial intelligence. Radio producers need to think more about the ways to use these devices in programming and how in the future, they can be used to unlock a wealth of radio data to be tapped into. As we mentioned in a previous blog post great production will always be an essential part of making effective radio. Voice activation is a major buzzword currently within the industry, and for good reason. With sales of devices such as Amazon’s Echo growing ever stronger, its usage remains high and continues to grow. Research shows that listening to radio or on-demand music services is the most widely reported use of Echo — with the effortless experience leading to increased listening both for live radio and on-demand music services. This means that your favourite radio show is now never more than a few short sentences away. But as always, it’s not what you say to the radio that’s important, it’s what the radio says to you. With more radio stations than ever before available on our phones, tablets, TVs and computers, to listen to live or after-broadcast, the amount of new music available at our fingertips is vast and perhaps a little intimidating. That’s why curation is set to play such a vital role in the future of radio. 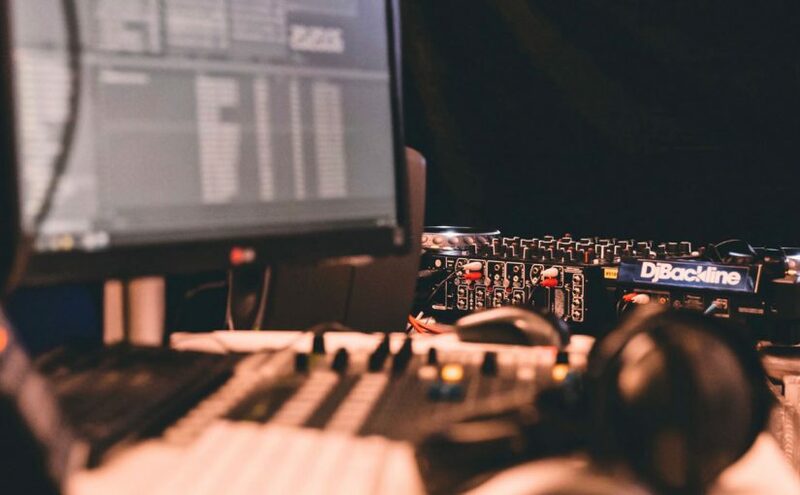 People have always relied on their favourite DJs to uncover the best new music and share it with them, and with all that choice currently out there, this need is perhaps greater than ever. That’s why The Radio Department has placed such an emphasis and effort in assembling its roster of electronic DJs. We only select the very best in each genre because we understand and appreciate their roles as leading pioneers, guiding listeners through this exciting new world of digital radio.